The Federal Government on Sunday revealed that a one-week ceasefire was declared from March 19, which allowed Boko Haram insurgents drop off the abducted Dapchi schoolgirls without attack from the Military. 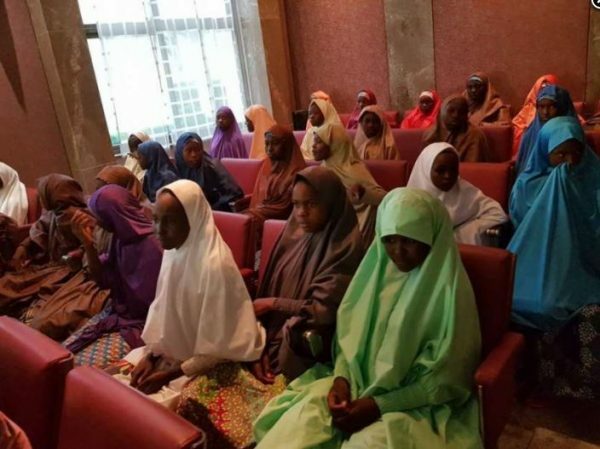 This was disclosed by the Minister of Information and Culture, Alhaji Lai Mohammed, at a media briefing to give update and clarifications on the release of the schoolgirls. “This counters the conspiracy theories being propounded in some quarters concerning why it was so easy for the insurgents to drop off the girls without being attacked by the military,” Mohammed said. The post ‘Week-Long Ceasefire Was Declared To Enable Release Of Dapchi Schoolgirls,’ – FG On Dapchi Girls Boko Haram Condition Of Release appeared first on LATEST NIGERIAN NEWS BREAKING HEADLINES NEWSPAPERS.